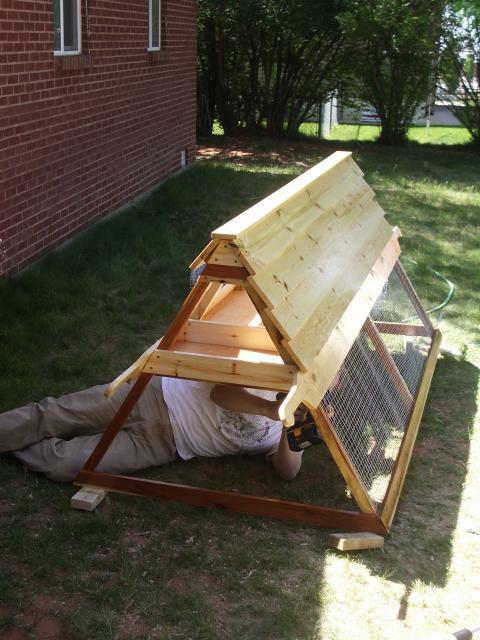 When we finished our coop, it looked more like fine furniture than a chicken coop, so we called it The Chicken Mahal. 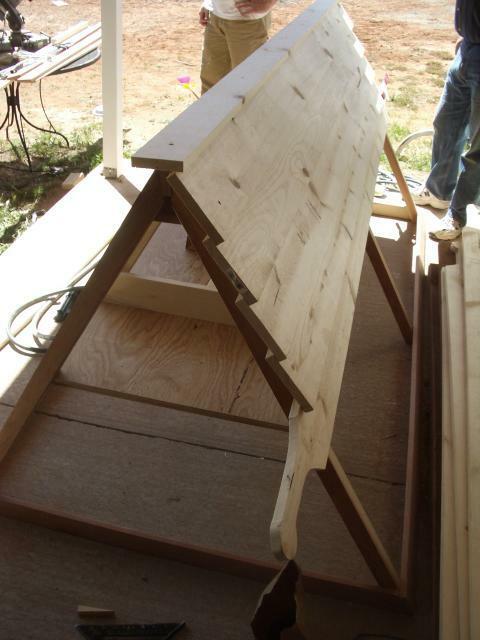 Here are pictures of its construction from boards to beautiful! 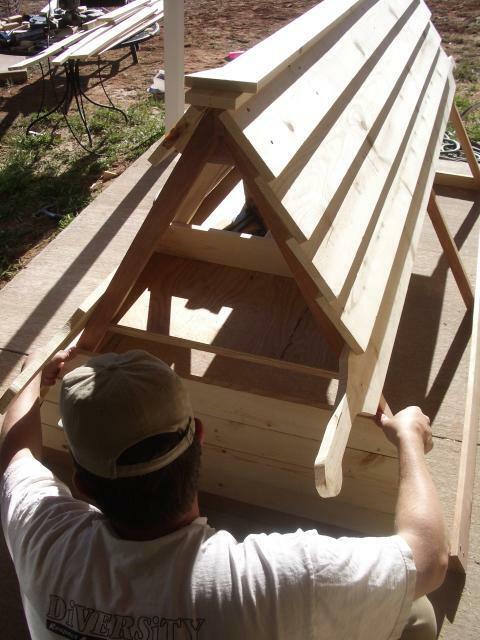 The next work day, my dad and my husband worked hard at getting the sides of the coop space built and put on. Didn't they do an awesome job?! Day three the doors are built for the ends of the run and for the nest boxes. We had leftover redwood from the frame, so we made the nest box doors out of that for aesthetics! This was when the design really started to excite me. I love the redwood and pine combination! kept it from discoloring or warping with the rain and sun. 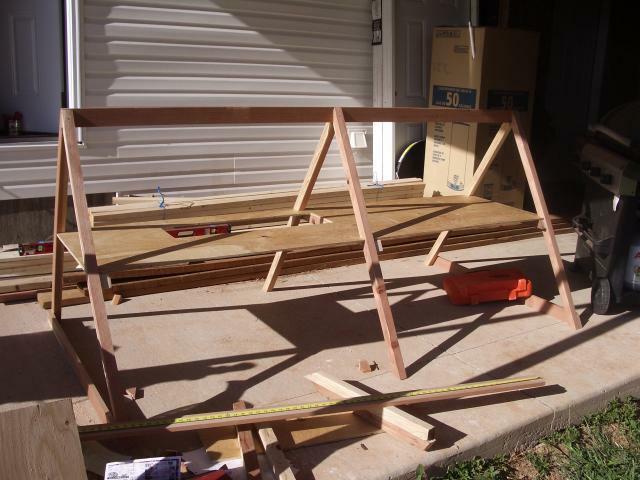 pulley and wire to pull it up at night and put 1" x 1" cage wire on the sides of the run. Day 6 we finished up by putting 2" x 2" fencing on the bottom of the run to keep out digging predators (of which there are many around here). 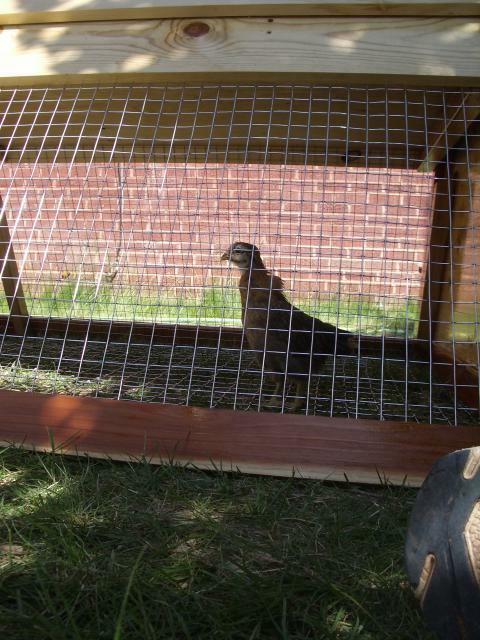 As I said to my husband, "I wish I was a chicken so that I could live in here!!!" Although a few were reluctant to try out the ramp until the second day. They just watched the others running around down below until they just had to join in! Within two days, all of them were navigating the ramp like pros! They love seeing the world, eating bugs, and living in the ark! We love watching them! Would like to see some dimensional details. It's lovely! I really like the handles on there. 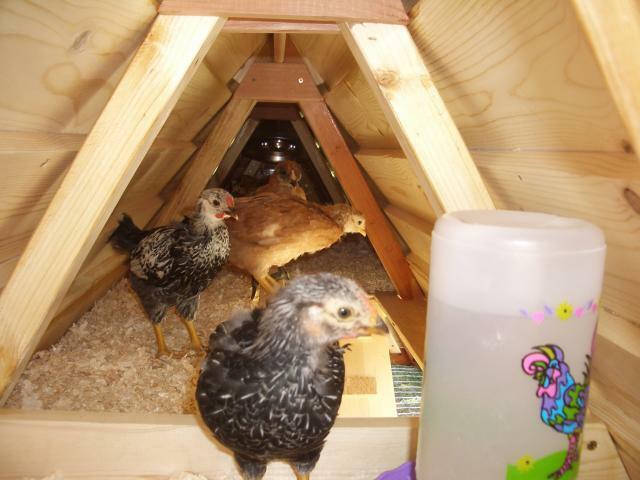 Your little pullets look so happy. I'm wondering the dimensions also. A very BEAUTIFUL tractor. Love it! 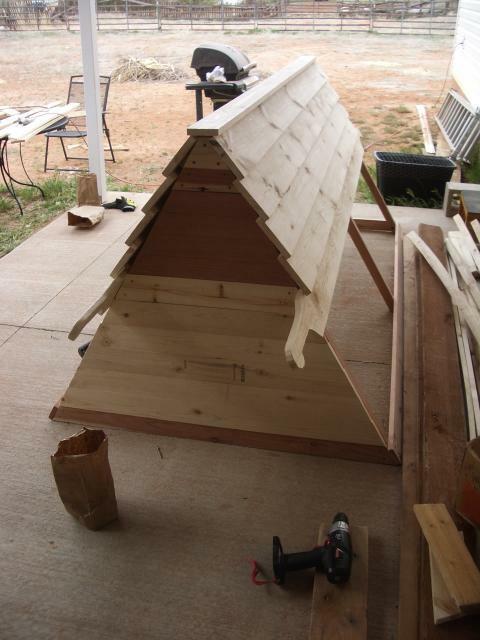 This looks like a coop from the Catawba Coop plans. If so, the plans are for sale on line. I built my tractor from the plans (with some modifications). Be warned. 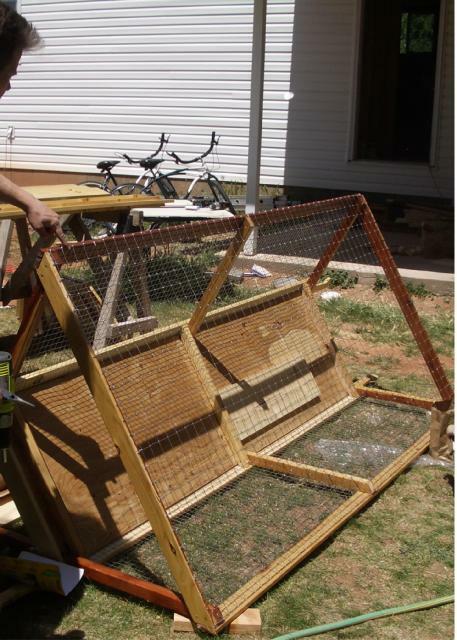 Our first flock was lost to a raccoon who pulled off one of the sides to the coop portion (the sit on a lip without any locking mechanism in the original designs). 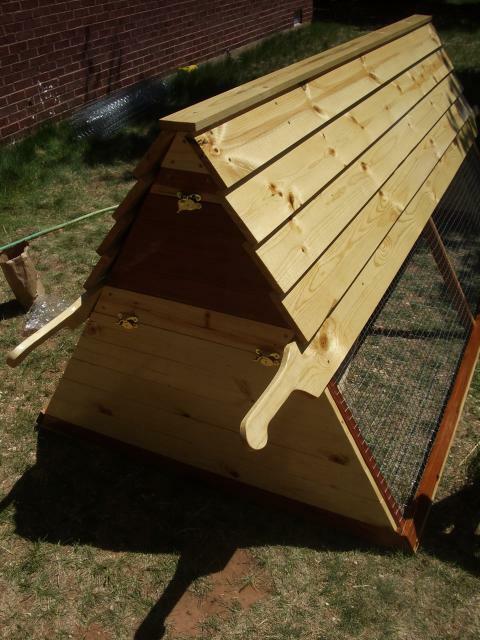 We've added latches to the inside for the sides and hasps with padlocks on the four end doors (2 up and 2 down - coop and run). 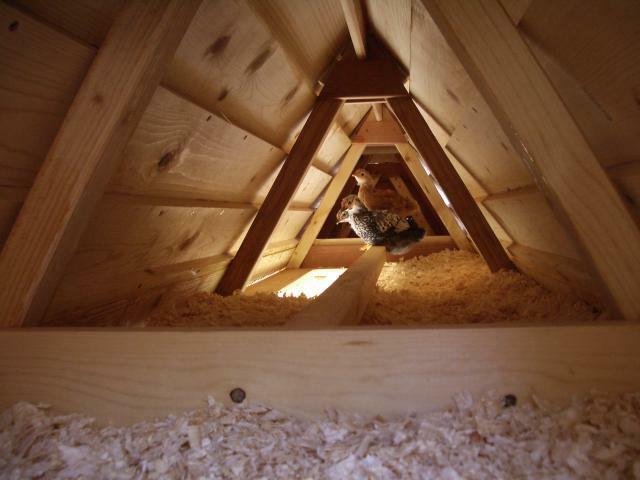 And the plans say the coop is sized for up to 6 birds. We've got four in this year with no problem. 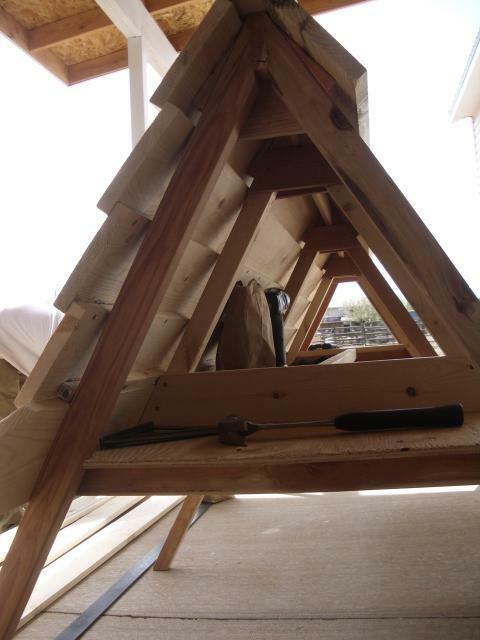 I would like to build one of these, is their a set of plans that can be purchased? Nice design, but I didn't see any nest boxes. Is the upper level one large nesting area? Love the woods you used, very attractive. 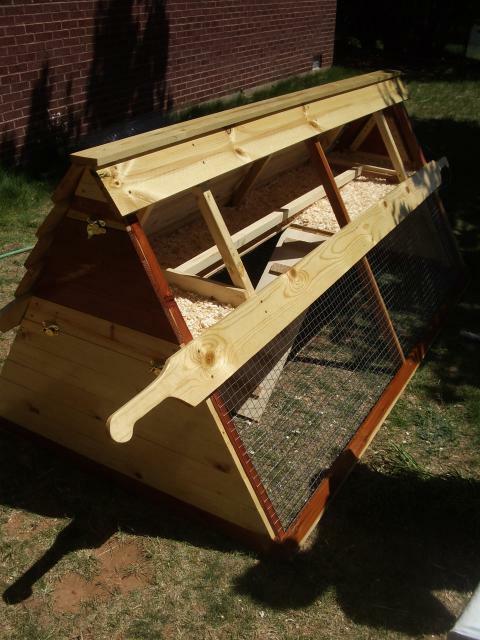 I like your simple design, however I would not have placed the wire on the ground below; chikens love to scratch and if the terrain is right they wallow in a dust bath. Close your ramp at night to keep them safe from predators. BTW what are your demensions and as adults is it big enough for 3 birds?